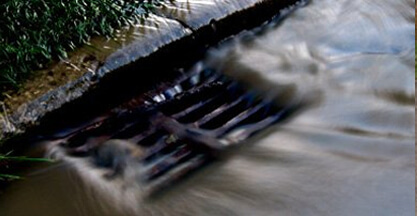 Our drains are under constant attack from detritus other potential clogs. We all know about fats and oils, but other threats are a little less well-known. 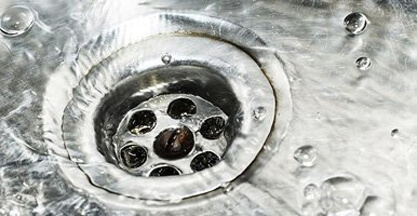 In this blog article, we will discuss why tree roots pose such a danger to your drain, as well as steps that you can take to avoid the issue. 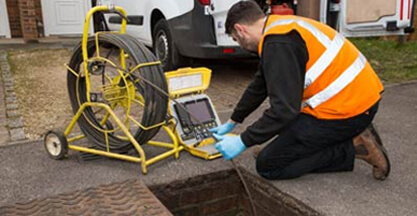 If you are dealing with a blocked drain and require a fast response service, get in touch with us at any time on 0808 164 0776. How Do Tree Roots Affect Drains? 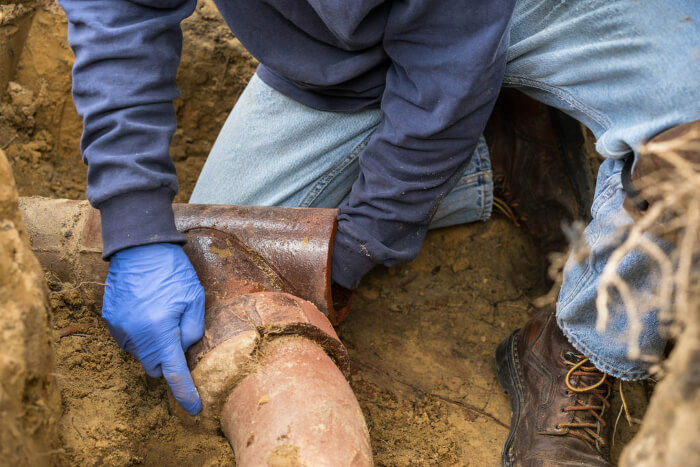 Tree roots present a unique problem when it comes to clogs as they actively look to invade your pipes. This is because plants seek out water by growing their roots into areas with high moisture content. 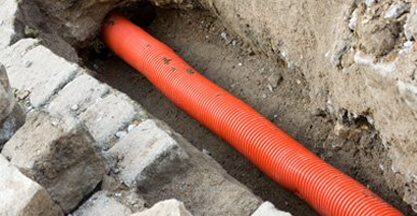 Naturally, your drain pipes produce areas which are moisture-heavy. Water will seep out of any tiny cracks or gaps in the pipeline and create a patch of moisture in the earth and mud that roots will be able to detect. The roots will grow towards the gap and start to grow inside of the pipes, forcing their way inside as they expand into the dark and water-rich wastewater PVC pipes. This will broaden the cracks making the pipe in an even worse state, and the roots will start to limit water flow through the system. Eventually, the roots will grow to be so dense and expansive that they stop the water from passing through the system altogether. This is where your pipe will become blocked, which can lead to a number of different problems including very damaging flooding. How Do We Deal with Problematic Tree Roots? Dealing with tree roots might seem like a problem that is quite tough to deal with, but using our experience and equipment, we will make short work of them causing the minimum amount of disruption possible. 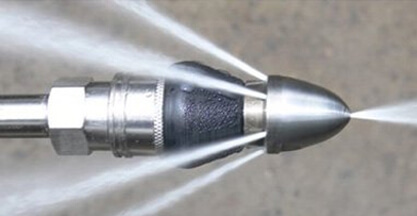 Our first resort will be to cut them apart using our high-pressure water jets. Using this equipment, we can cut through the roots like butter and force them on down the pipes and into the public sewer system. 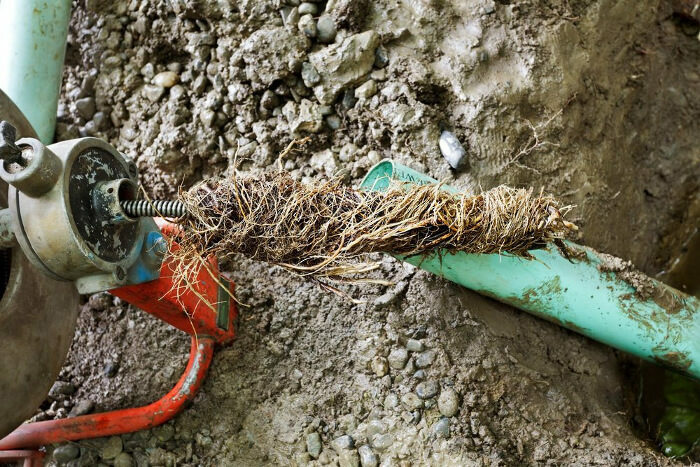 Although the water will make short work of the tree roots themselves, they won’t cause any damage to your pipe system. Regardless of whether it is PVC or cast iron, the water will harmlessly bounce off and continue on down the drainpipes. In some extreme cases, we might need direct access to the roots which will require some minor excavation. However, this is rare, and we will make sure to make the process as quick and painless as possible. Once the roots have been dealt with, we can take steps to address any damage that might have been caused by the tree. This is not always necessary, and we do not always need direct access to the pipe to fix the issue. 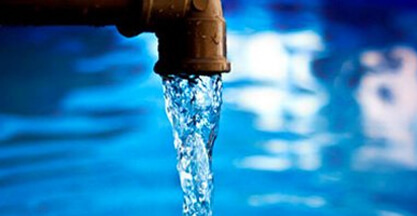 At Clark Drainage, we take great pride in our commitment to our customers by providing reliable and practical solutions to all drainage problems in both commercial and domestic settings. Our team is made up of talented and knowledgeable individuals who are always happy to get the extra mile when it comes to customer service and are given ongoing training to make sure that their skills and technique are as up-to-date as possible. Furthermore, we appreciate that a large part of our job relies on quality equipment. As a result, we make sure our teams are armed with the finest machinery available, and we are always on the lookout for ingenious new technologies to add to our arsenal. We have technicians available to respond at any time of day, each and every day of the year. No matter when a drainage disaster strikes, we can be at your property within a matter of 1-2 hours. To speak to one of our operators today about we can help you, give us a call now on 0808 164 0776.